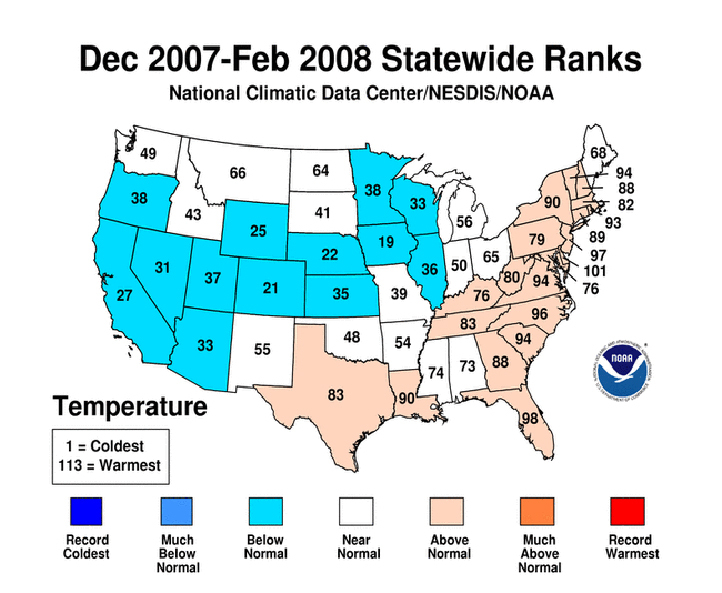 This week NOAA’s National Climatic Data Center announced that from December 2007 to February 2008 temperatures across the United States and the globe were their coolest since 2001. In the contiguous United States, the average winter temperature was 33.2°F which ranks it as the 54th coolest winter since national records began in 1895. Globally, the combined land and ocean surface temperature was the 16th warmest on record for the period. In terms of precipitation, as everyone here in Colorado knows, large swaths of the country experienced at or well-above normal levels of precipitation. Indeed, some basins here in Colorado were in excess of 150% of normal. 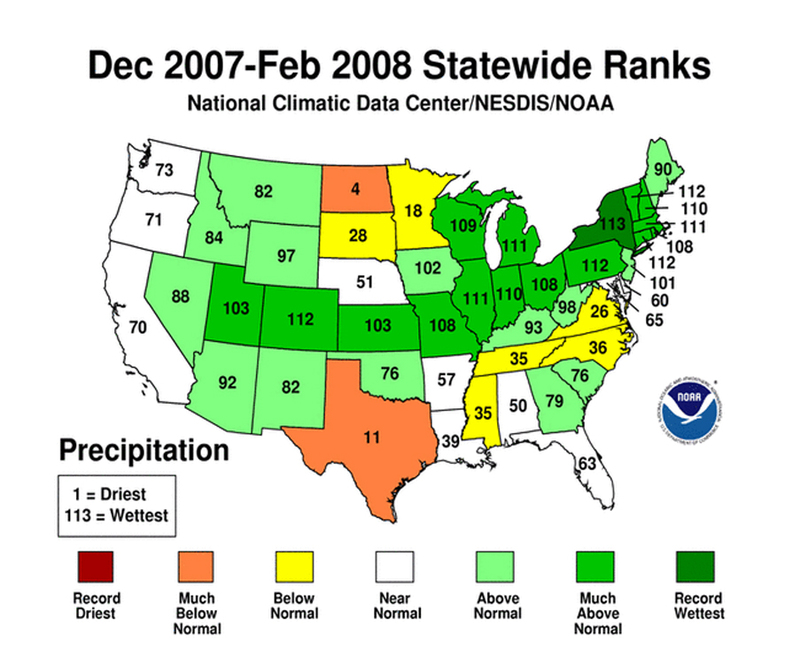 Record February precipitation in the Northeast helped make the winter the fifth wettest on record for the region. New York had its wettest winter, while Pennsylvania, Connecticut, Vermont, and Colorado to the West, had their second wettest. The charts below give a good view of both temperature and precipitation for the winter. You can also view the NCDC’s complete summary on their website here. This entry was posted on Friday, March 14th, 2008 at 9:30am MDT and is filed under Climatology, National Weather. You can follow any responses to this entry through the RSS 2.0 feed. You can skip to the end and leave a response. Pinging is currently not allowed.